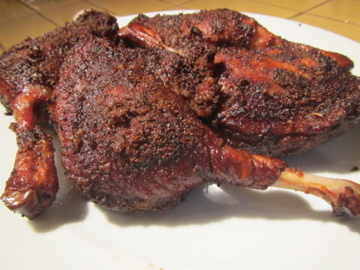 BBQ duck legs. Who knew a new match made in heaven would be born! Beautiful baking as always Glenn. Nice to see you in these parts again. How nice to see a posting from you again. It has been awhile. I do wonder what you are up to when I mix up a batch of your seeded dinner rolls. They were one of my first attempts at making rolls and they have remained part my baking repertoire ever since. Very nice challahs. I like how you knotted them and used sesame seeds as a topping. They really compliment the color of the crust. I have begun baking challahs on a weekly basis now. I succumbed to the practice after purchasing Maggie Glezers, 'The Blessing of Bread'. I had a hard time choosing a favorite out of her wide selection so, rather than leave any one out, I now bake a different challah every week rotating them all through in their own turn. It is fun seeing how just a bit of this or that changes the dough and the final results. I also love the history that she included in her book of each loaf. Thanks again for the post and baking update. 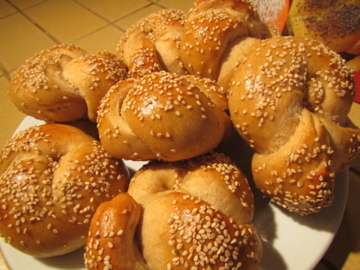 I spent time with "The Blessing of Bread" too, and settled on the Chernowitz' Rebbe's challah. Maybe it's time to revisit the book. What are the contenders for your favorite? I haven't made them all, but my goto challah is her "my challah" recipe. Of course I like my challah a little sweet and eggy so maybe that is what appeals to me. I keep meaning to make the sourdough one but I never seem to get around to it. 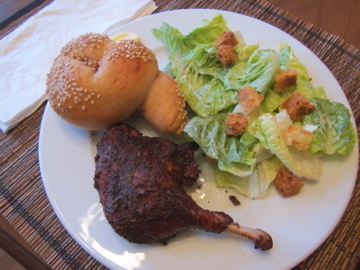 The Chernowitz recipe is a favorite of many. I always like to make the six-braid versions as this is the most visually appealing to me. ETA: Your rolls look great! Good to be back, and good to hear from you all. And, Syd, you can tell me what your mega-humungo-acronym means if you want. Ha! Ha! Even Though You Waited Three Years To Bake The HWWCDKRs It Certainly Was Worth It! Lunch. Friday after the 4th Thursday in November, 2008. But I wouldn't refuse a taste of that duck, either. 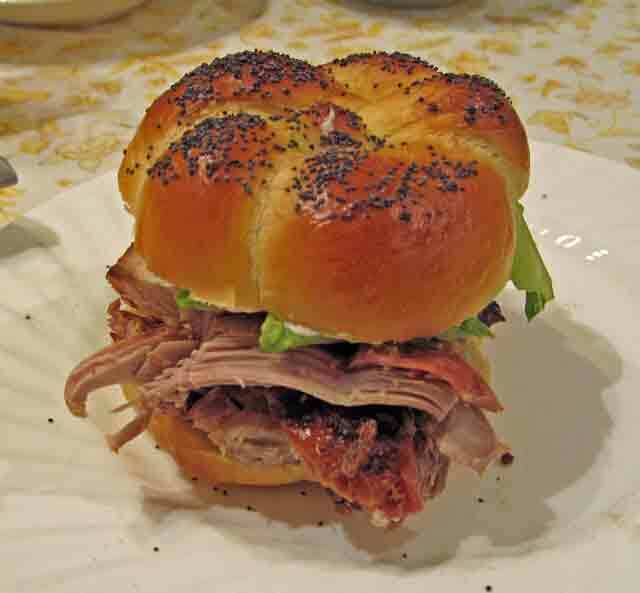 A challah roll just makes a good wrapping for bird meat. We will revisit this truth again.